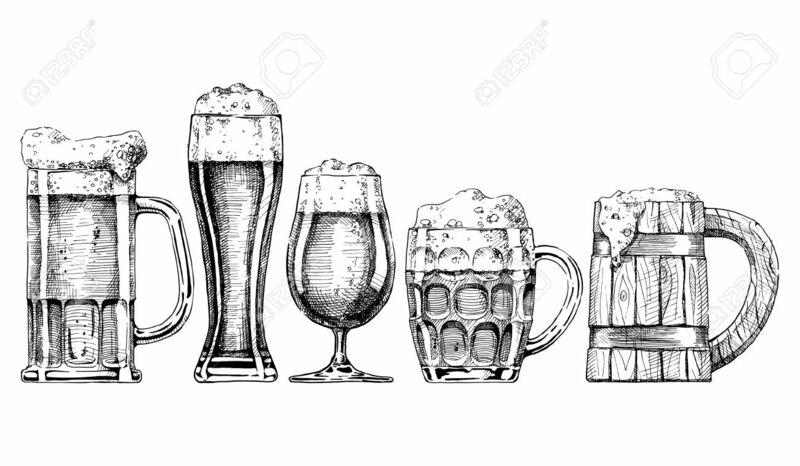 Vector Set Of Beer Glasses And Mugs In Ink Hand Drawn Style... Royalty Free Cliparts, Vectors, And Stock Illustration. Image 42153348. Vector - Vector set of beer glasses and mugs in ink hand drawn style. isolated on white. Vector set of beer glasses and mugs in ink hand drawn style. isolated on white.